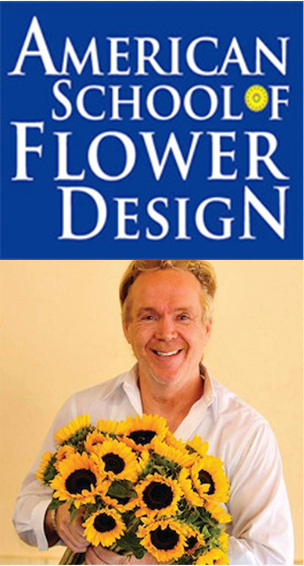 BY CLARE DOYLE – Design star Michael Gaffney gave the Boca Grande Garden Club a “flower-powered” Flower Week to remember. 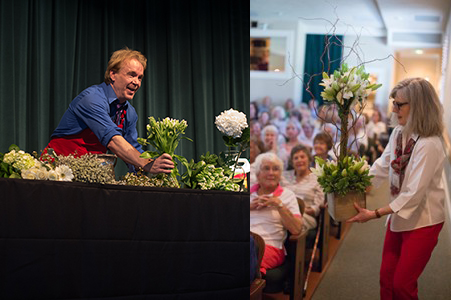 A capacity crowd in the Boca Grande Community Center Auditorium last Wednesday, Feb. 3 roared with laughter again and again as Michael regaled us with tales from his long career as a florist, floral design instructor and celebrity event designer. And while he talked, Michael created! Roses turned into a bouquet for a flower girl, with his signature method for adding each flower while turning the bouquet so that it had a perfect domed shape. Then the bouquet grew to bridesmaid size as his stories of the demands and color combinations a wedding can bring grew zanier. His least favorite bridesmaid dress color? Teal. There are no teal-colored flowers in nature, and Michael firmly believes the color of the dress should be echoed in the accent flowers of the bouquet. When he finished, the bouquet had grown to bridal size, containing two dozen tightly packed roses in a perfect shape. Michael let us know that of the hundreds and hundreds of brides he’s worked with, there is no such thing as a “Bridezilla.” Beautiful flowers made just for them with Michael’s unerring eye and soothing, supportive manner have melted every bride’s heart and made her feel as special as she should be on her wedding day. Next, he made another rose bouquet with ivy cascading down. Then he turned to centerpieces, from mounded full displays to tall, raised arrangements meant to form almost a canopy over a table. With each one, he provided easy-to-follow steps to achieve professional results, breaking everything down with approachable simplicity. After his demonstration, a raffle of his designs brought excited squeals from the lucky winners and a few disappointed looks from those who didn’t. But at the workshops he led the following day, all were able to make their own gorgeous bouquets following Michael’s straightforward instructions. Soak the flowers for 20 minutes before arranging them. Put a little bit of bleach in the water in your vase, but don’t bother with the powdered packets you sometimes get with flowers. Unless you let it dissolve for many hours first, he says it won’t help. By the way, Michael shared that adding a little alum to your vase is magical for long-lasting hydrangeas. 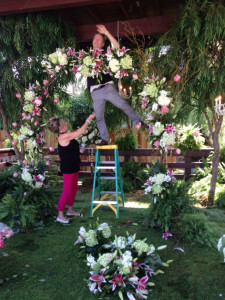 Michael believes in a product called “Crowning Glory,” which he sprays generously on his finished arrangements to seal the water into the blossoms. He made us all laugh when he squirted it on himself too, telling us he’s actually 105 years old but doesn’t look it, thanks to that spray. Following these steps can make vased arrangements last three weeks and keep a bridal bouquet fresh with no water for two days. Everyone wants to know when Michael’s coming back, after having had three days of flower-filled fun with him. For his part, Michael was so enchanted with our island that he had no interest in leaving. Who can’t relate to that? He did promise he would keep our secret and not tell anyone just how perfect a paradise we have here. It was even more so during the Garden Club’s Flower Week. It’s been an exciting month. I was on QVC selling my invention called “Flower Crazy“, a flower design system that makes those cubes and cylinders much easier to design with. 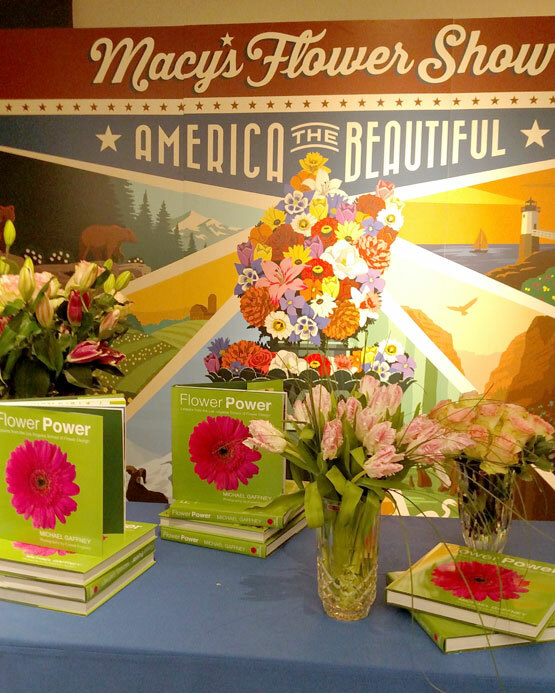 I’ll also be opening and closing Macy’s Flower Show this year in their flagship Herald Square store in New York City. For opening day, Sunday, March 20th, I’ll be in the in store to do a book signing. 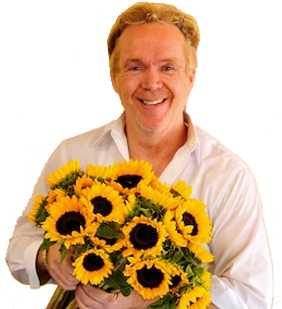 I’ll be back in their flagship Herald Square store on Saturday, March 26th at 1PM to do a Great Plains Wheat wreath making seminar. The markets are sleepy and quiet now, all in anticipation of Valentine’s Day. I usually start getting nervous around October in anticipation of Valentine’s Day. 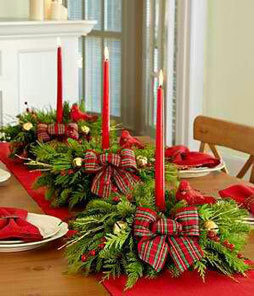 Join us for an afternoon or evening of Holiday Floral Design Classes. Pine, cedars and balsams with lots of berry. Three designs and all materials included. Bring a camera to take pictures and a basket to carry all your designs home. Miami: Saturday, November 21st, 10:00 am to 1:00 pm. New York City: Saturday, December 19th, 1:00 to 4:30 pm or 6:00 to 9:30 pm. 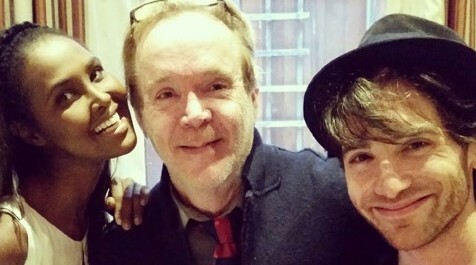 We’ll be offering a Master’s class in Chicago starting Tuesday, Oct. 20th, a 4 week course on Tuesdays and Thursdays. Attending our Master’s Course will give you the confidence and skills design large events! 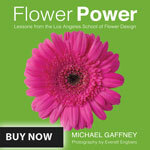 It is flower designing on a grand scale. Flower designs, flower trends, and flower colors all change for fall. Now we have an emphasis on rust browns, oranges, berries, mums, and pheasant feathers. Also joining these fall favorites are winter greens. For me, I’m off to start our inaugural school semester in Indianapolis – highly looking forward to that. 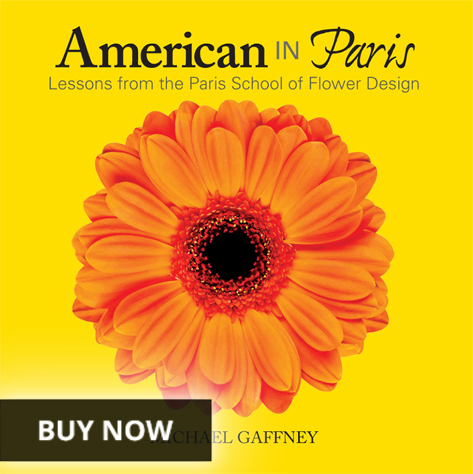 Michael Gaffney will be the guest lecturer at the Minneapolis Institute of Art this coming spring during their annual Art in Bloom Show. 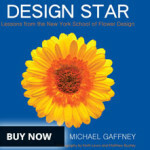 Michael will be lecturing from his new book “Flower Power Lessons From Los Angeles School of Flower Design” as well as signing copies of his first book “Design Star: Lessons from the New York School of Flower Design”. 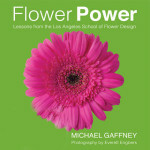 I was recently talking about flower design organizations and certifications. The number one question asked is, “Do I need to be certified to be a florist?” The answer is no. Why? Because there is no standard used in our business. To put it into context, a recent poll found that only 2.6% of all working florists referred to themselves as ‘certified members’ of a flower organization. By the law of mathematics, this means the other 97.4% do not. You can join clubs such as PCFI and AIFD by receiving a certification. Basically, it’s to get initials after your name.